Posted on October 12, 2014 by Ronald Patrick Raab, C.S.C. The invitation to the feast in Matthew’s gospel goes out to people on the streets, from the highways and byways. This man accepted the invitation but was not properly dressed. This image of not wearing a wedding garment shocks us in this gospel. The image is about people who have not been baptized, they are not properly dressed in the death and resurrection of Christ Jesus. They have yet to belong to the covenant of Christ Jesus, the marriage of heaven and earth. 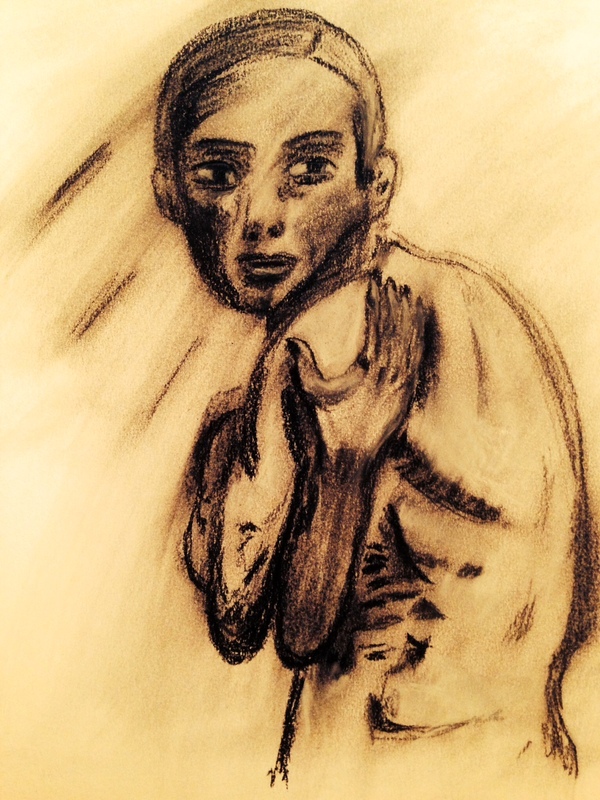 This drawing shows the scrawny man that is naked and not yet ready to be clothed in Christ Jesus. This simple outline captures his emotions of feeling embarrassed about not yet responding to Christ. He challenges us to ready our lives and hearts because the feast is for every person. What a powerful picture to go with such a deep message. Thanks!